Yes, Sugar is Definitely My Enemy! As a type 2 Diabetic, I have long known that sugar is my enemy. Sugar is not good for me and raises my blood glucose level hugely. I checked my BGL this morning and it was 444. I ate a cookie last night, had rolls with dinner and an ice cream dessert yesterday. Yes, sugar is not for me. Today I plan on doing much better. “in 2012, the latest year for which the Centers for Disease Control (CDC) have provided estimates, one in every seven to eight adults in the country had diabetes – 12 to 14 percent, depending on the criteria used to diagnose it. Another 30 percent are predicted to get diabetes at some point during their lives. Almost two million Americans were diagnosed with diabetes in 2012 — one case every fifteen to sixteen seconds. Among U.S. military veterans, one in every four patients admitted to VA hospitals suffers from diabetes.” He further stated that 95 percent are Type 2 diabetes, associated with overweight and obesity. However, sugar was becoming big business as well as diabetic drug treatment. 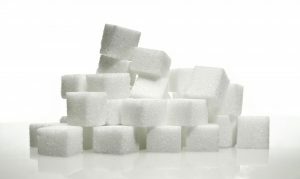 By the late 1970’s sugar has mostly vanished from discussions and dietary fat was being implicated in the case of heart disease and diabetes may or may not be caused by obesity. We were just overeating and exercising less. 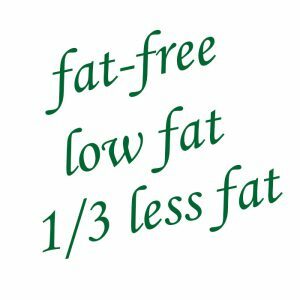 I have grown up in this era of “dietary fat is bad” and to lose weight, my understanding was that I just needed to reduce fat consumption, not overeat and get more exercise. I was very active up to my mid-30’s when I got pregnant and had my only child. I also began my back issues when I was 7 months pregnant and they never went completely away. After I gave birth, I did not exercise at all for many years because of back pain. My body underwent great trauma from months upon months of little sleep and my very body chemistry changed so that I was not longer able to wear my contacts and where before, I could not wear a watch (they all stopped in a few days), now I could finally wear a watch. So I know there was a fundamental change. Then in my mid-40’s I had a total hysterectomy and underwent early menopause. So I tried to cook low fat and purchase low-fat versions of foods more. I added more salads to our diet and used low-fat or fat-free dressings. I only purchased whole wheat bread and only drank diet colas and drinks with sugar substitutes. I got rid of sugar in my kitchen and used sugar substitutes there too. My husband ate only low-fat, whole grain cereals and we added more fruits like apples and bananas – which I loved. We loved strawberries and melons also. But they were natural and good for us – right! After years of being overweight, I was finally diagnosed with pre-diabetes, then full blown diabetes. I was placed on metformin and took only that for years. But my diet basically never changed much except for an occasional try at eating less which never lasted because I was just too hungry all the time and I craved food and carbohydrates. Then I was placed on insulins and began to inject both short and long term insulin daily. This went on for years also. And every time I saw my doc, my insulin treatment was tweaked and increased. Finally, I was on 182 units of insulin a day plus metformin. My diabetes doc had suggested I go for bariatric surgery which I resisted because of my risk for clotting after surgery – I had already had one stroke after a major surgery. Even though he said that I would come out of the hospital off my diabetic meds, I kept putting it off out of fear of stroke. Bariatric Surgery Without the Knife! I woke up and decided right then to begin Intermittent Fasting (IF) to lose weight and cure my diabetes. And do it without surgery. You can read more about this on my diabetic blogsite “Growing Old with Diabetes”. “sugar” refers to a group fo carbohydrate molecules consisting, as the word “carbohydrate” implies, of atoms of carbon and hydrogen. The names of these carbohydrates all end in “-ose” — glucose, galactose, dextrose, fructose, lactose, sucrose, etc. All of these sugars will dissolve in water, and they all taste sweet to us, although to a greater or lesser extent. When physicians or researchers refer to “blood sugar,” they are talking about glucose, because it constitutes virtually all of the sugar circulating in our blood. We mostly think of sugar as in the grainy variety that we spoon into our tea or coffee or use to bake with. This is sugar in the form of “sucrose” which is composed of equal parts of glucose and fructose. Fructose is the sugar found naturally in fruits and honey. It is the sweetest of all sugars and the fructose that makes sucrose sweet. Some researchers are now looking into whether fructose is “toxic” because it is the significant amount of fructose in sugar (sucrose) that differentiates it from other carbohydrates-rich foods, like bread or potatoes that break down during digestion to mostly glucose. But because we never consume the fructose without the glucose, though, the question is really whether sucrose, the combination of roughly equal parts of fructose and glucose, is toxic, not one alone. Even more confusing is that in the 1970’s high-fructose corn syrup (HFCS), was introduced. This replaced a great part of the refined sugar (sucrose) consumed in the U.S. Public-health authorities often refer to sucrose and HFCS as “added sugars’ to differentiate them from the component sugars that can be found naturally in fruits and vegetables. How Much Sugar Do we Really Eat? The USDA reported in 2014 the average American consumed only 67 pounds of the sucrose and HFCS out of the 114 pounds that industry made available – the rest was waste they said, but that cannot be verified. In 1920 the total production per capita was 100 pounds. However, how much was actually consumed is not known, so this can be confusing. Mr. Taubes suggest that sugar is a drug. Science writer Gary Taubes asks readers to imagine a drug that could instantly make even a crying baby happy with the smallest of doses, and then consider how long it would take for use of that drug to grow out of control. In his new book, “The Case Against Sugar,” Taubes argues that after two centuries of escalating sugar consumption and an epidemic of obesity, diabetes, and other health problems, that’s exactly the situation. Q. When did sugar become a major part of people’s diets? A. You have this massive increase in the 19th century of sugar consumption. By end of the century you’ve seen the creation of chocolate candy, ice cream, the soft drink industry. We’re already to about 80 or 90 pounds of sugar per person per year. That’s an almost 20-fold increase in the course of that century. Then it slowly keeps climbing through the 20th century until you peak at 150 odd pounds per person per year. All of this is very interesting stuff. If sugar is truly addictive and seriously toxic – then the sugar industry may have done worse to us than the tobacco industry – what a thought! For myself, I know that removing sugar from my diet shows up very quickly in reduced inflammation in my body, reduced blood glucose levels and less need for injected insulin. I also feel much better overall. And the fewer carbohydrates I eat overall, then the less hunger and food cravings I feel – this I know for sure. For now, I’m ending this post and going to finish reading Gary Taubes book.